The Voice of Ummah is one of the most famous online radio station on United Arab Emirates. 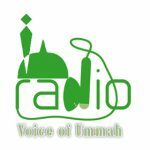 The Voice of Ummah is the First Islamic Internet Radio Channel From Bahrain, which streams Urdu, Arabic and English programs. If you are searching for a radio that will serve Ummah with the desired and engaging radio programs non stop than the voice of ummah is the perfect choice for you.